My favourite GCC waste of money “cat hairs on the clinic floor” cost to the GCC £36,000 cost to chiropractic? 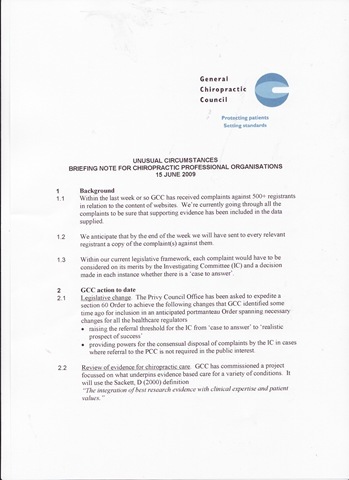 Fortunately for the GCC, they have Graham Donald the senior civil servant at the Privy Council, who is now deputy chair of the GCC Investigating Committee so it wont be too difficult to get the Chiropractic Act changed quickly and dismiss these silly complaints and not have to defer £500,000 in registration fees in December. 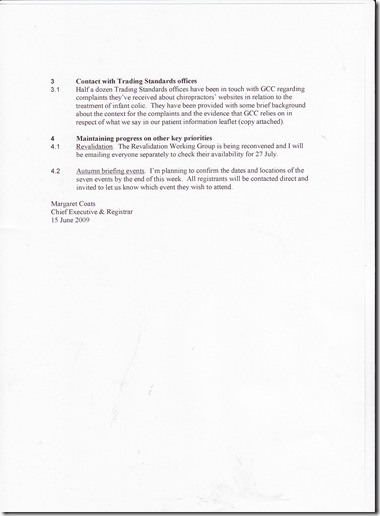 When I was elected onto the General Chiropractic Council one of our concerns were the vexatious cases that were coming before the Professional Conduct Committee (PCC). Ridiculous cases that had cost the chiropractic profession over £500,000 which were all thrown out. My favourite is charge for cat hairs on the floor of chiropractor Bridgit Gilmores clinic. 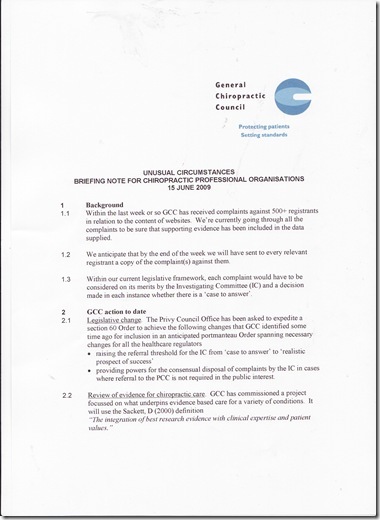 The Ostepaths had got legal advice and were able to raise the threshold for a complaint to be forwarded to the PCC, this change was not afforded chiropractors. 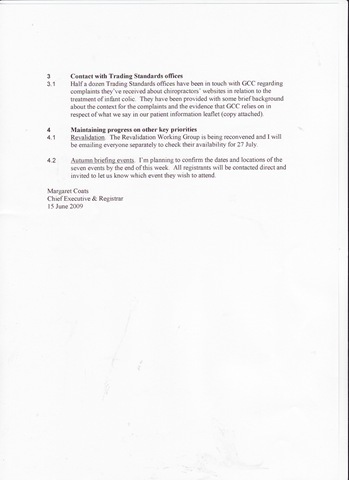 The GCC chief executive Margaret Coats was having none of it, she went and got another legal opinion and we were told all case would continue to be forwarded to PCC when there was a case to answer, any idiotic case. There was no way the GCC Chief executive Margaret Coats was going to put away the boots she used for dancing on chiropractors without a fight. 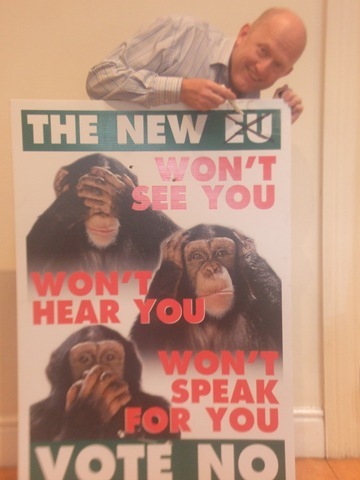 A few of us (The reformers ) got council to agree to set up “working group” to look at amending the complaints process under the Chiropractic Act ( Its called a Section 60 order) We were told this would take many years and even then there were no guarantees. Then we had to work around Coats, who attended every meeting, took the minutes making it extremely difficult to discuss where we felt the problem was. The chief executive herself, the most unpleasant person I have ever met. After the November 2007 meeting a member of the group e-mailed “other reformers” with a view of the meeting. 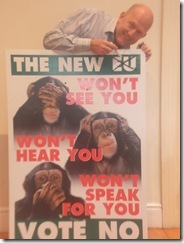 Some of us were under the impression that our remit was broader than has been outlined in the minutes. Did council not recognise that there was a need to look at what could be done in the short term. Having only recently seen the “Working practices of the investigating committee and the General Chiropractic Council office” I think there are a number of areas that should be discussed. As I said at the meeting, I think it would helpful if certain office practices were clarified for consistency ie how many times it is reasonable to ask a complainant to make a statement. I don’t think we should be seen as putting pressure on people to complain, where only minor infringements of the COP and SOP have occurred. From the Working Practices it is not clear to me how much influence the office will have on a complaint before it reaches the IC and that is also a concern. With regard to your final paragraph, you will wish to note that under the provisions of paragraph 21(2), Part II, Schedule 1 of the Chiropractors Act 1994 “Subject to any provision made by or under this Act, each statutory committee and any sub-committee of such a committee may regulate it own procedure.” The authority to develop and agree the content of the Working Practice document to which you refer therefore rests with the Investigating Committee. It will be for Rita to decide if she wishes to bring your comments to the attention of the Committee. In my view it is unacceptable that you have circulated to council members what you regard as a concern about the way in which members of staff carry out their agreed duties.